Mumbai : All credit goes to Arpita Khan, who made this happen again. 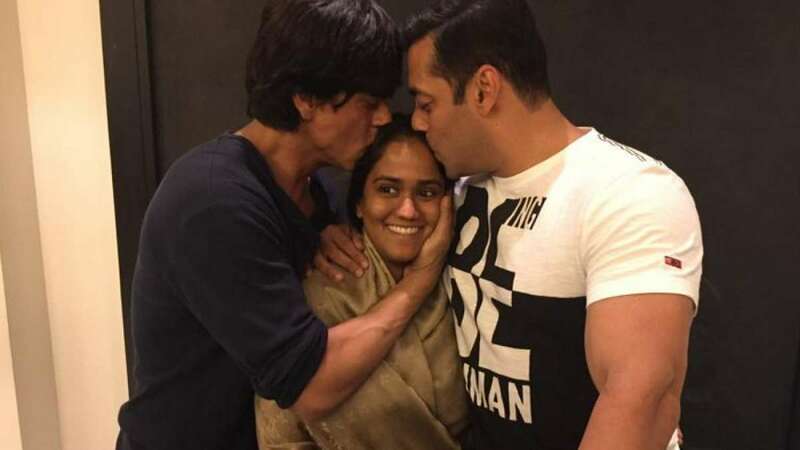 - Salman Khan and Shah Rukh Khan were spotted again in a single frame while they both were showering love on Arpita. - The epic picture came while Khan Family was celebrating the mehendi ceremony of Arpita on Sunday in Mumbai. - Salman’s brother Atul Agnihotri tweeted this picture. - Arpita will be tying knot with a Delhi based business man on November 18, 2014. - Recently, Shah Rukh Khan had said that he will be attending Arpita’s wedding even without an invite as he is close to her.